A father hits his wife while grieving the loss of his son. Overcome with guilt, he wanders for days in the woods and nearly dies. He eventually builds a new life for himself a couple hundred miles away as a sideshow freak—getting punched for money. A female grocery clerk is voted sheriff in an election no one takes seriously. Then a child disappears, the town floods, and looters show up. Amid these crises, a green sheriff must earn her tin star and a town must learn to support her. 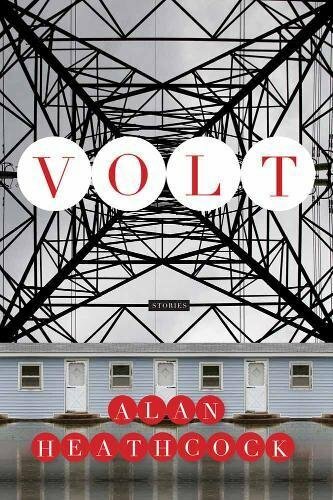 These are just two examples of the gothic-tinged tales in Volt: Stories, a starkly elegant short story collection by newcomer Alan Heathcock. 2. Powerful contemporary independent films about violence in rural America, such as Slingblade, The Apostle, and Fargo. Heathcock’s stories are tragic but understated; his characters are sad but even-keeled. The northern plains winds chill the village of Krafton, around which Volt is set, and blew away the tears long ago. “I got a bird,” he said. Despite the pervasive understatement throughout Volt, Heathcock is slyly suspenseful. In “Peacekeeper,” for example, readers are shown events out of sequence to build tension and push the reader forward. Readers only gradually learn, in “Smoke,” why a father and son are working so hard to carry a dead body up a steep hillside. Perhaps the only problem with Volt is its existence. Unknown authors writing melancholy short story collections set in the northern plains are predestined for commercial obscurity. Heathcock is stubbornly incorruptible in adhering to his authentic, idiosyncratic vision. At some point in the future, when he chooses to toss a bone or two to the masses (perhaps by adding an unencumbered laugh and a splash of redemption to his work), Heathcock will become as successful a writer as he is an exceptional author. Putting the crass capitalist critique aside, the purest compliment a reviewer can offer an author is ordering additional copies of a book. This reviewer is purchasing four copies of Volt.